Xiaomi announced its next flagship duo – the Mi Note and Mi Note Pro – just a month ago and both gained massive attention. We’ve been waiting to get our hands on these devices and we finally got one – meet the Xiaomi Mi Note. 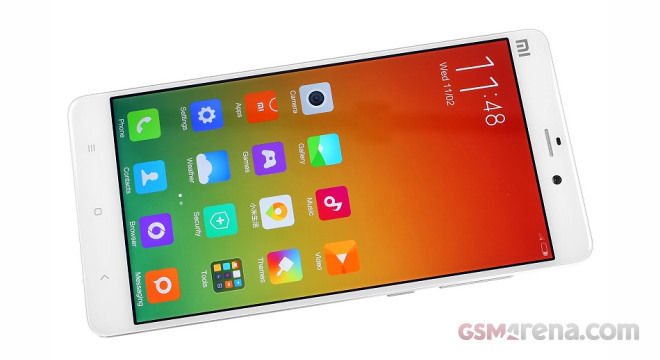 The Xiaomi Mi Note packs a 5.7″ 1080p display and runs on the Snapdragon 801 chip. It offers a 13MP rear camera with OIS and 4K video recording, all-round connectivity package and the latest MIUI v.6 launcher topping the Android KitKat. The Mi Note is no just powerful, it is very beautiful, too. It’s build around two pieces of glass meeting around a nice metal frame. You can opt for a white or black flavor. We are already working on our in-depth Xiaomi Mi Note review and it should be out in a week or so. A big thanks to xiaomishop.com for providing the review unit.